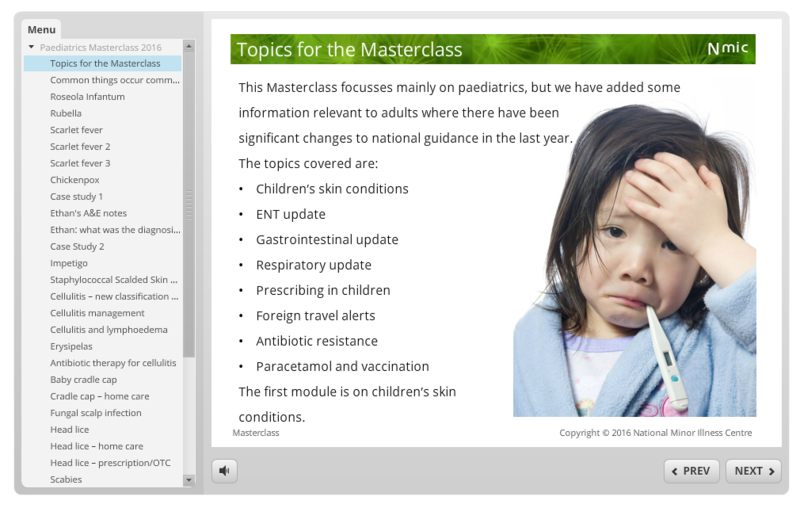 The main focus of this NMIC Masterclass is Paediatrics. We have an interactive e-learning, self-paced programme qualifying for 3 hours of CPD and including an update for Independent Prescribers. This course includes common skin conditions in babies and children, new NICE guidance on reflux, constipation and pneumonia, and controversies surrounding the Meningitis B vaccine. 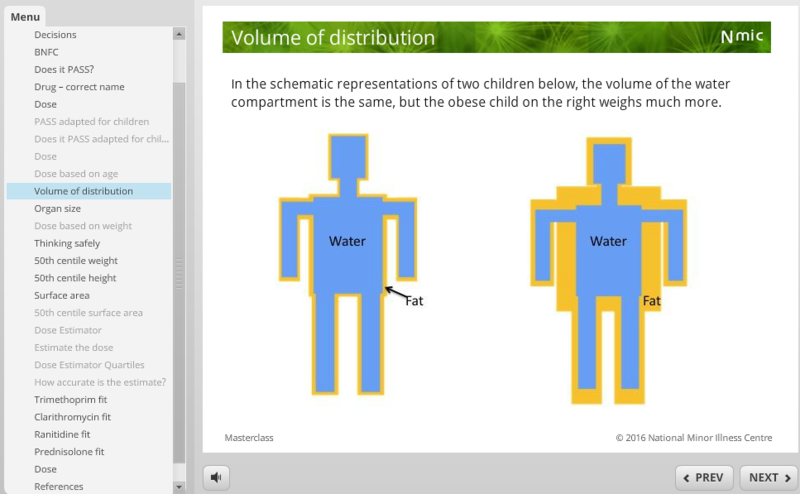 There is a module on safe prescribing in children, including a formula for checking doses and advice on the obese child.